Tutorials // Clogged nozzle: what can i do? This is an issue that every maker will run into, no matter what, at least once during his 3D printing life. 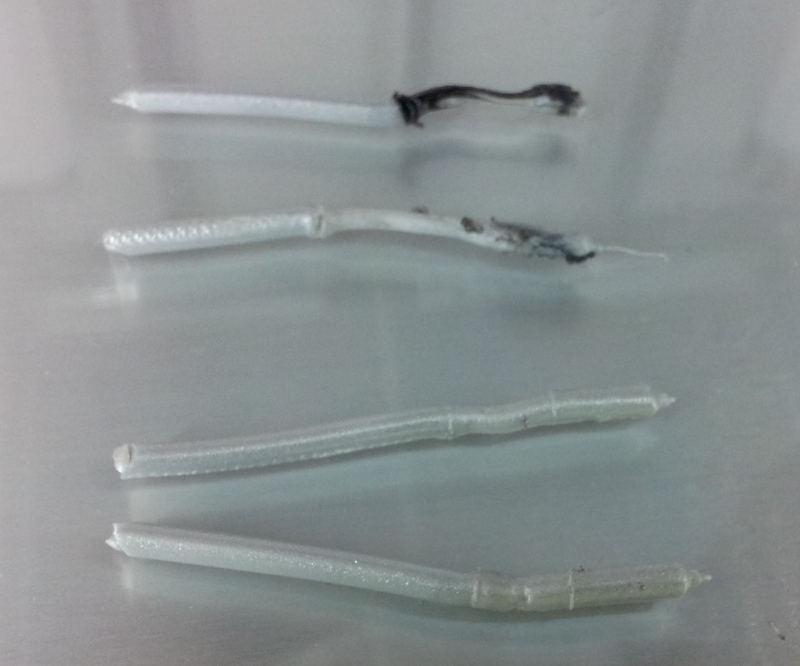 It can happen for multiple reasons, PLA can burn if it stays too long in a heated nozzle. 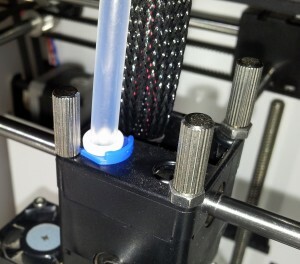 If you switch from ABS to PLA for example, it can also happen that some ABS stays in the nozzle and doesn’t melt because of the lower printing temperature of PLA. After a while it will clog. This can also be the case if you print with wood filaments, if it stays a bit too long heated, it will melt and harden inside your nozzle, and this is when the fun begins! The nozzle can also be partially clogged for the same reasons, the material will not flow as good as before, because there are some residues that prevent it from reaching the heat chamber at the wanted speed. 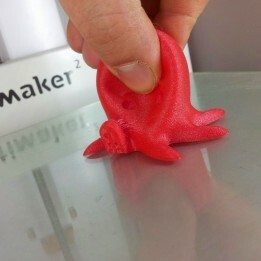 Your prints will show signs of under-extrusion. So how can you resolve this problem? 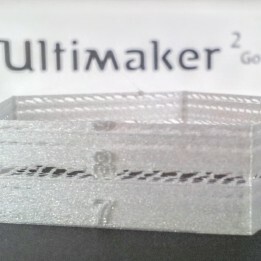 I will show you the most used method on the Ultimaker 2, it can most probably be applied to any bowden tube printer. 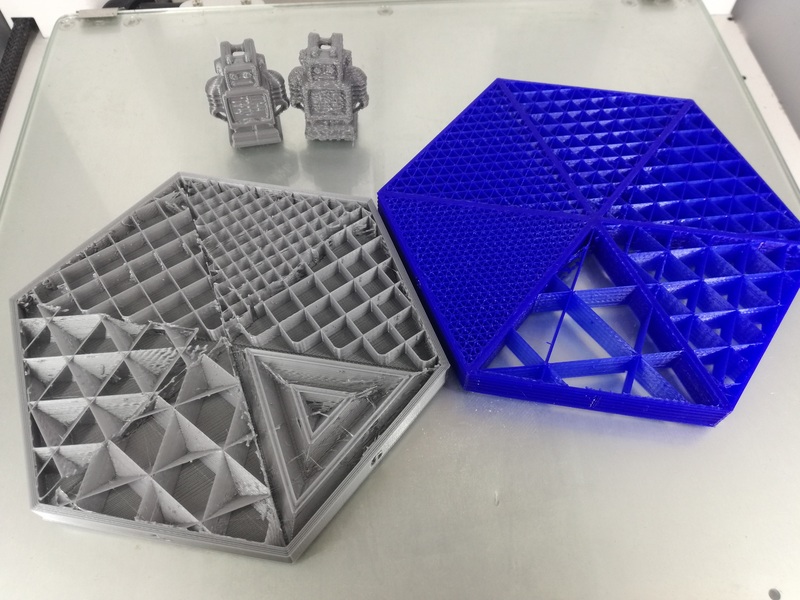 On the Ultimaker forum this method is called the atomic method, it is named after the first user that introduced this method: MostlyAtomicBob. It can also be referred to as cold pull. Which is maybe a less frightening name for new users! 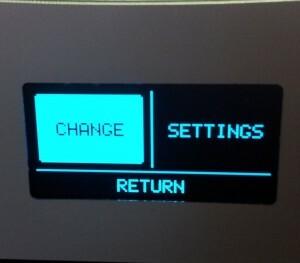 Go to your printer menu and go to MATERIAL then choose CHANGE. 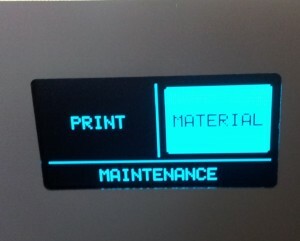 When the printer asks you to insert the new material press Cancel. 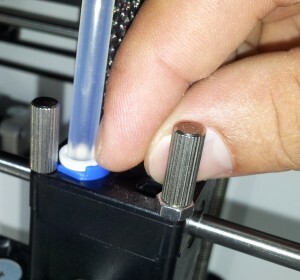 You need to remove the bowden tube from the printer head. 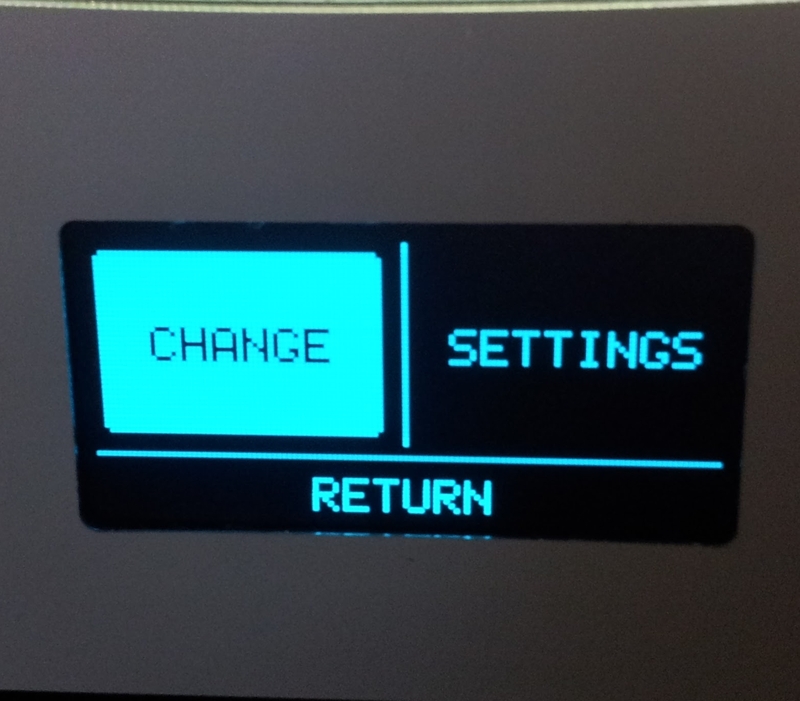 You can move the head of the printer, if it’s switched off, to have better access to it. To remove the bowden, take the blue clip of (be carefull not to loose it), then press the white collet down and pull on the bowden tube. It should come out easily, you don’t have to force it. 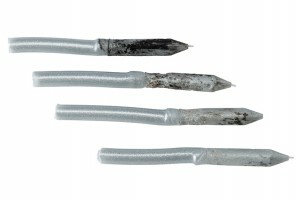 If you feel some resistance, make sure you pushed the white collet down. If you put too much force you might break it. 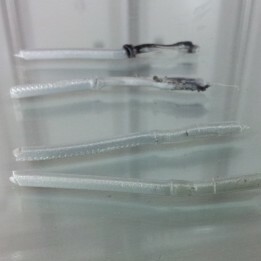 Take a piece of filament, at least 20cm long, make sure to straighten it as much as possible (at least 10cm). 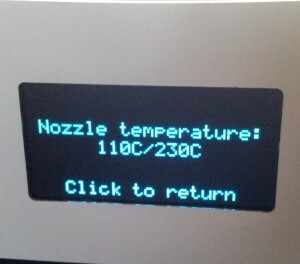 Heat up you printer (MAINTENANCE, HEAT UP NOZZLE), I like starting at 230°c to 240°c maximum, going higher is not necessary. 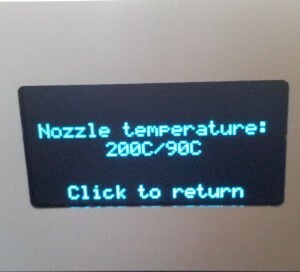 If you have some ABS in the nozzle, 240°c is enough to make it melt. This temperature can be between 180°c and 240°c, it has to be hot enough to melt the burned plastic, but not too hot to burn the residues even more! If you want to be more cautious you can start your cold pull at lower temperature and increase them at each step. When the temperature is reached, insert the piece of filament from the top of head (where the bowden is inserted). 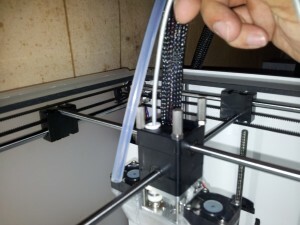 Push it until you see some filament coming out or until it can’t be pushed more. Lower the temperature to around 90°c (if the filament you use is PLA) or around 130°c (if the filament you use is ABS). 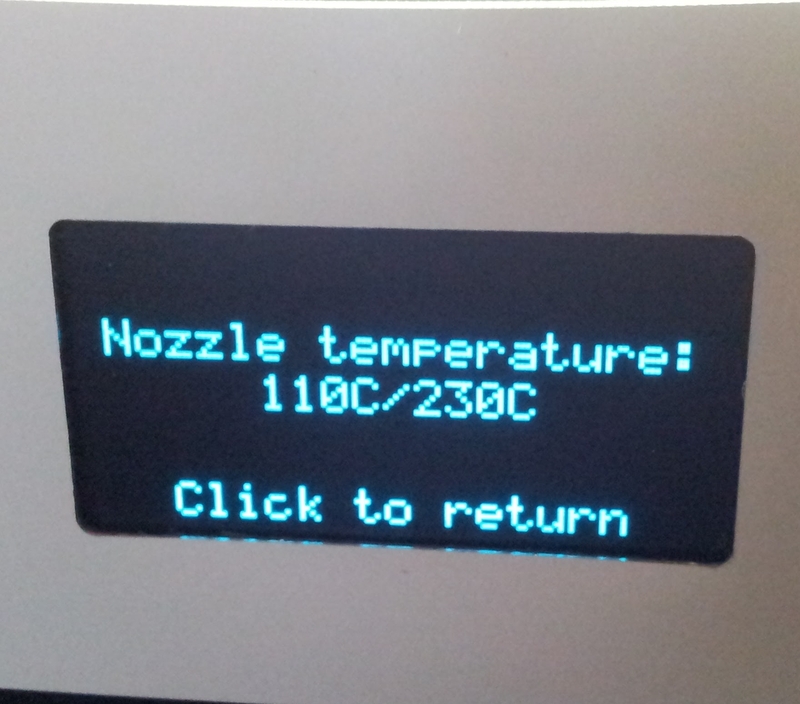 Note that these temperature may be different for every printer and every type and colour of filament. After a while you will know what temperature is the best. 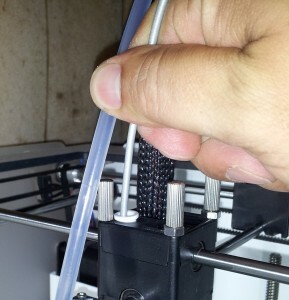 During the cooling down, you may continue to push the filament a bit to make sure that it takes the most place possible in the nozzle. 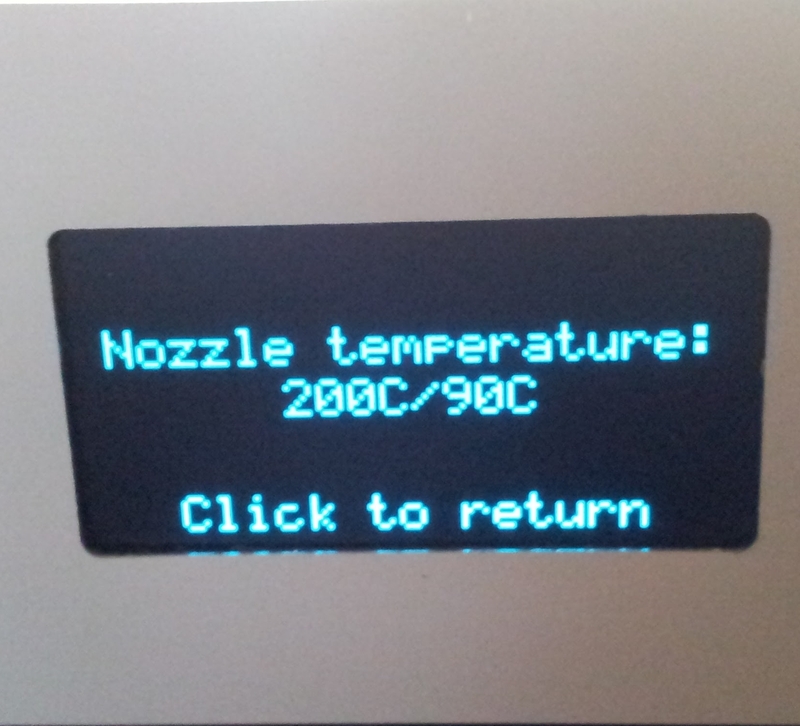 If nothing comes out of the nozzle you can stop pushing. Once the temperature is reached, pull the filament firmly and quickly. For your first cold pull, you can test first if the low temperature is good by pulling slowly, if nothing moves you might be to cold so increase your cold temperature a bit. If it moves then you can pull quickly. You want to have a clean cone-shaped tip. 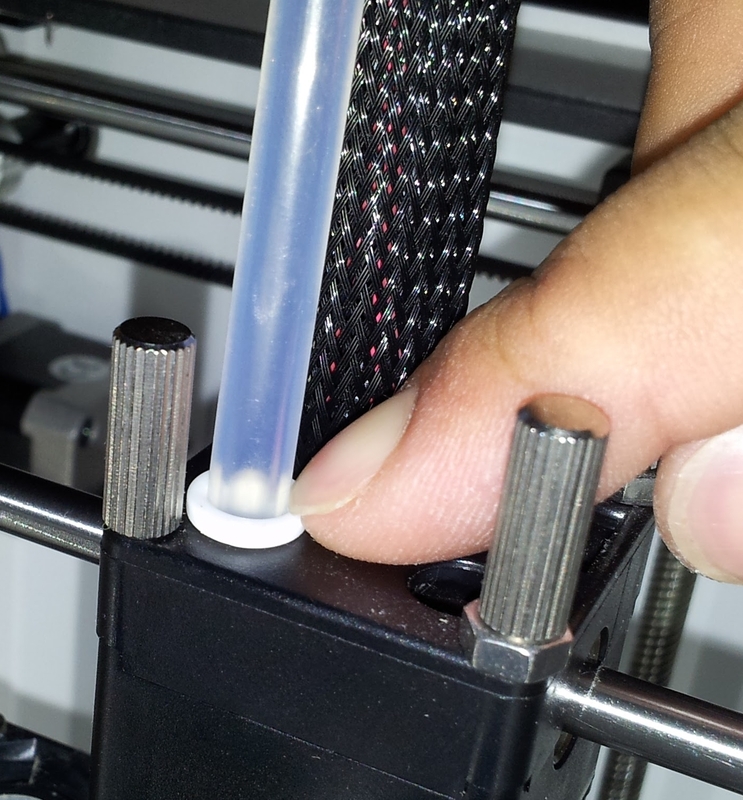 If the filament is stretched then you are pulling to slowly or too hot. On the picture the top cold pull was done too hot. The other ones are good. 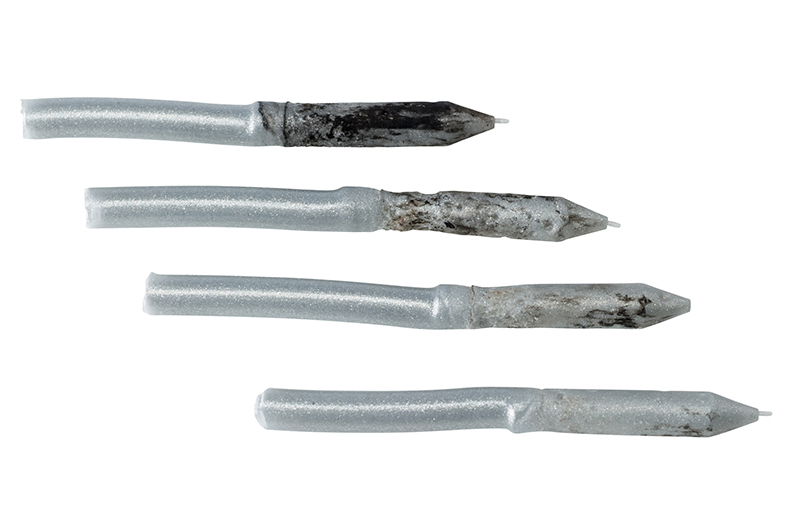 If the cold pull is still dirty repeat the cold pulls until you get a clean cone-shaped tip. Put the bowden back in the white collet (remember to push it down) and make sure it enters the Teflon insulator correctly. 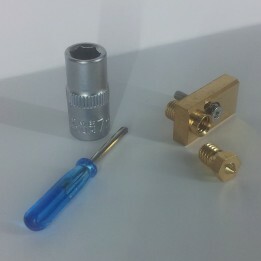 Then put the blue clip back by lifting the white collet. Make sure everything is well in place. Insert material and start printing again! You can use a small needle if the nozzle is really clogged. 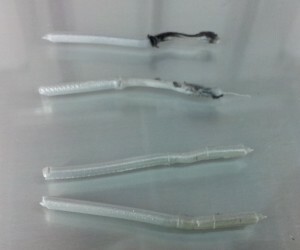 The needle needs to be smaller than the nozzle hole (0.40mm), acupuncture or medical needles can be used. 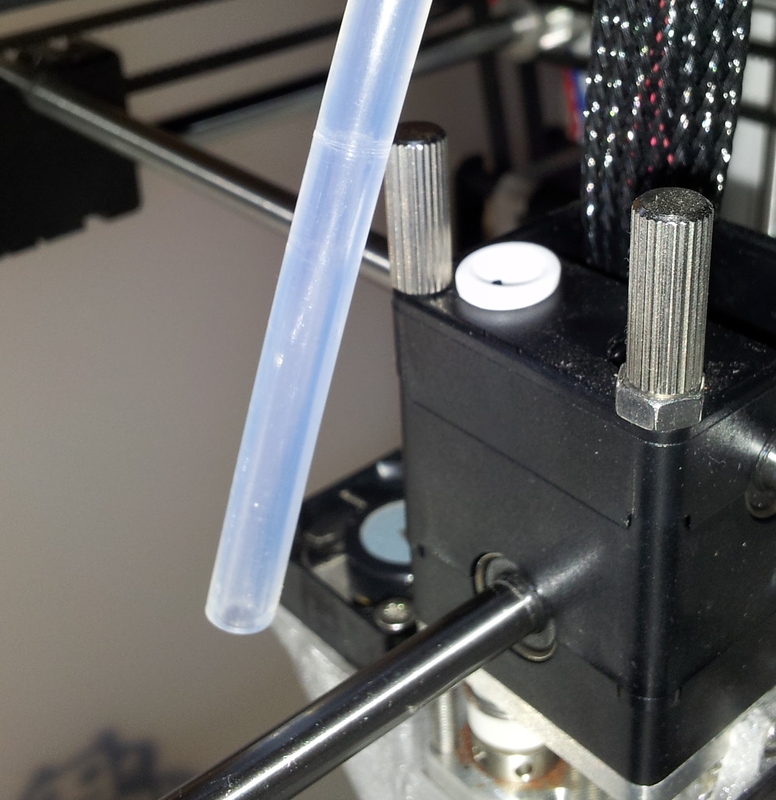 When heating up to the hot temperature, you can put the needle through the nozzle hole and try to make a way for the filament to come out. You can also carefully make it go around the inside of the nozzle to try to get some residues out, be careful not break the needle! If the cold pulls don’t succeed, you might need to go for a more radical method that will require you to dismantle the entire head and burn it with a flame. Most of the time you will not need to go this far. Don’t hesitate to do multiple cold pulls before assuming you can’t pull the clog out. It may take some patience but at the end you will be rewarded. 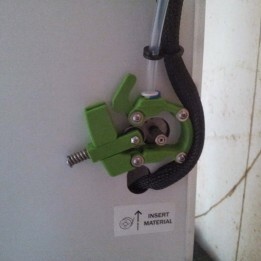 In extreme cases you may need to change the entire heat block. If you often switch materials, it’s a good practice to do a cold pull or two between the changes, this will prevent clogs and your prints will be better!